Taragarh fort is one of the most impressive structures in the city of Ajmer, in the northern state of Rajasthan in India. 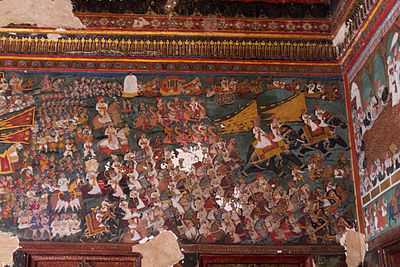 The state of Bundi was founded in this year by Rao Deva, and this was when the construction of this massive square began. Popularly known as the 'Star Fort', the attraction is located on a steep hill and offers a panoramic and breathtaking view of the entire city of Bundi situated in the Nagpahari of Aravalli ranges. The fort was described by the famous author Rudyard Kipling as "more the work of Goblins than of men". Bundi is a small town in the Hadoti region of Rajasthan, which lies 250 km away from the capital city of Rajasthan and 39 km from Kota. The town is famous for its picturesque forts, steep-wells (baolis), palaces, lakes, and reservoirs. 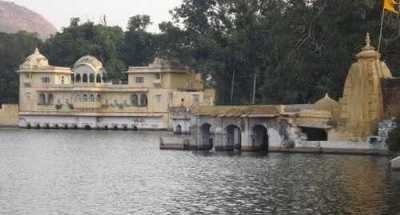 Moti Mahal is one of the unmatched attractions of the town. 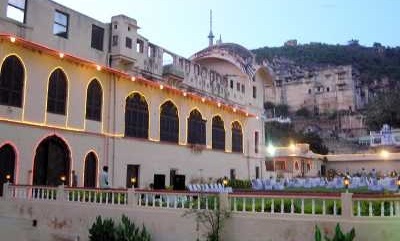 Along with the historic beauty of the Moti Mahal Palace, you can also enjoy the panoramic view of the arid Aravali hills in the backdrop along with the view of the ancient Nagal Sagar Lake. 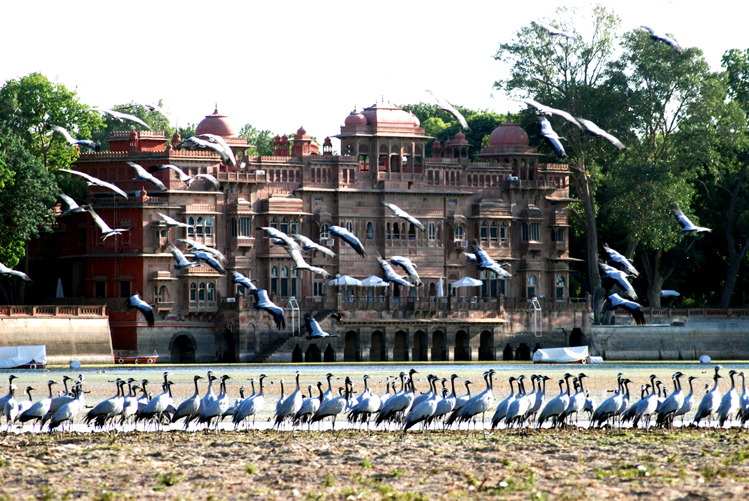 Sukh Mahal, which is located on the periphery of the lake Jait Sagar was built during Umed Singh's regime. 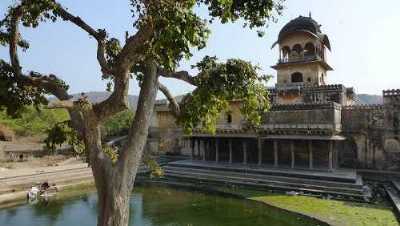 It is a universal belief that the old palace and Sukh Mahal are connected by means of an underground tunnel. 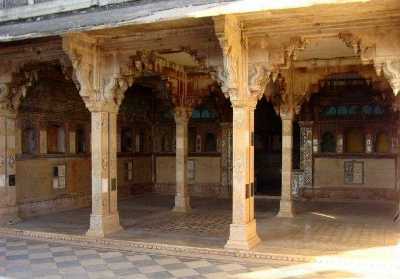 The main attraction of Sukh Mahal is a white marble Chhatri or an umbrella. This magnificent umbrella stands on the roof of the second storey of the Sukh Mahal. The purpose behind constructing this palace was to make provisions for the princes of those times to have a free hand in their nefarious activities. Nawal Sagar Lake is a huge, man made lake that can be seen from the Talagarh Fort. This lake has more than a few small islands. This lake is located in the middle of the city, and hence, one can get to see the reflection of the entire city in this lake. The mirror image of the entire city of Bundi falls on the serene waters of this lake making it a unique tourist destination. This is a must visit spot for all those coming here. The Hathi Pol is an entrance into the Garh Palace of Bundi. Two enormous gates are seen at the end of a steep climb to this palace. Pol, which literally means Door, The Hathi Pol is a massive entrance that has two trumpeting elephants that form an arc. 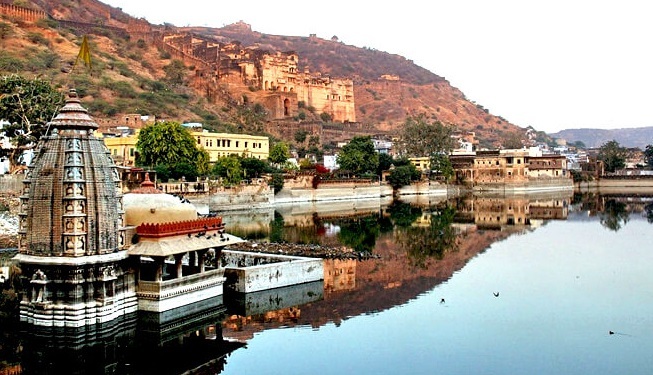 Shikar Burj is another tourist destination in the quaint city of Bundi. Located at a little distance from Sukh Mahal, Shikar Burj is actually an old hunting cottage owned by the rulers of Bundi. The step-wells of the town are a trademark feature of Bundi. 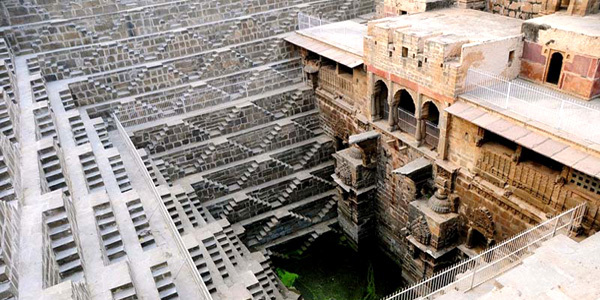 These wells were constructed as a means of providing water to the famine prone town of Bundi.